DM Metalloys Pvt. Ltd. is a prominent manufacturer, supplier and exporter of stainless steel MAT PVC finish in 304/304l/316/316l sheets. 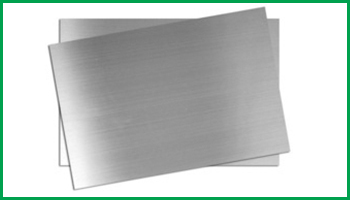 We are noticeable supplier of the nosiest range of Stainless Steel MAT PVC Sheets in Mumbai, Maharashtra, India. Our manufactured Stainless Steel MAT PVC Sheets are broadly demanded for their invincible finishing and performance. Available in cheapest market price. We offer a comprehensive range of SS 304/304l/316l/316 Mat Pvc Sheet, which is well known for its features like durability, corrosion resistance, cost effectiveness, sturdy construction and smooth surface. 0.03 max. 2.00 max. 1.00 max. 0.045 max. 0.03 max. 16.0 – 18.0 10.0 – 14.0 2.00 to 3.00 0.5 max. DM Metalloys Pvt. Ltd. Supplies Stainless Steel Mat Pvc 304, 304L, 316, 316L Sheets in Faridabad, Gurgaon, Gurugram, Gaziabad, Noida, Lukhnow, Delhi, Delhi NCR, Ludhiana, Amritsar, Chandigarh, Jalandhar, Baddi, Punjab, Uttar Pradesh, Haryana, Mumbai, Pune, Sahibabad, Meerut, Manesar, Bhiwadi, Bawal, Neemrana, SIDCUL, Sonepat, Ambala, Mohali, Panchkula, Kapurthala, Bareli, Kanpur. About DM Metalloys Pvt. Ltd.